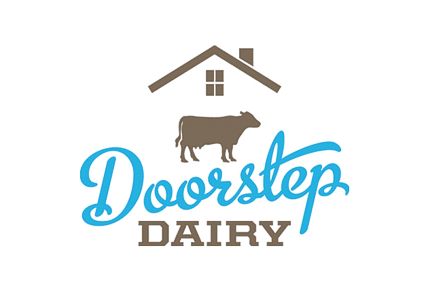 Trisha's Flowers is so excited to announce that we are partnering with Doorstep Dairy to provide weekly flower subscriptions for their customers. Every week for 20 weeks starting in June, customers will receive a fresh bunch of locally grown flowers right on their doorstep! Some of our favorites in store for them are; peonies, larkspur, snapdragons, zinnias, dahlias, sunflowers and many more! Doorstep Dairy is a small family owned business dreamed up by Daryl Mast of Morgantown, PA. His idea behind the company is to bring back the concept of “The Milkman” from years past by providing a delivery service for your grocery items so you don’t have to make that weekly stop at the store. Except Doorstep Dairy has taken it a step further by teaming up with many local vendors who provide fresh, quality, and even organic products that customers can order each week to fit their needs. Just a few of their many partners include: Fiddlecreek dairy, offering organic regular and greek yogurts, Weavers Orchard providing homegrown fruits, and Stouts Bakery specializing in breads of all kinds. This season Doorstep Dairy is offering a Spring/Summer weekly farm share that includes fresh vegetables, seasonal fruits, locally made cheese and bread, and bouquets specially arranged by us! If you are interested in benefiting from this awesome service contact them through their webpage to see if you live within the reach of their Lancaster, Chester, and Berks County delivery routes!